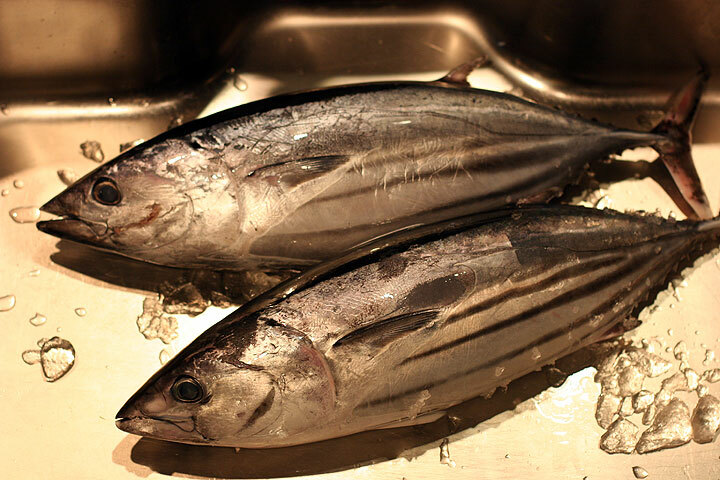 Bonito or “katsuo” in Japanese are extensively caught by fishermen from Numazu, Shimizu, Yaizu and Omaezaki Harbours (all Shizuoka Prefecture). 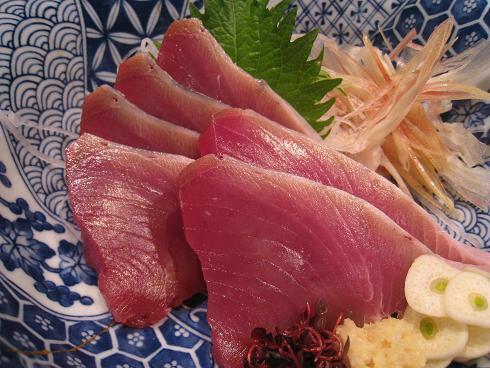 The main fishing areas are Shizuoka, Mie, Kochi & Miyazaki Prefectures. 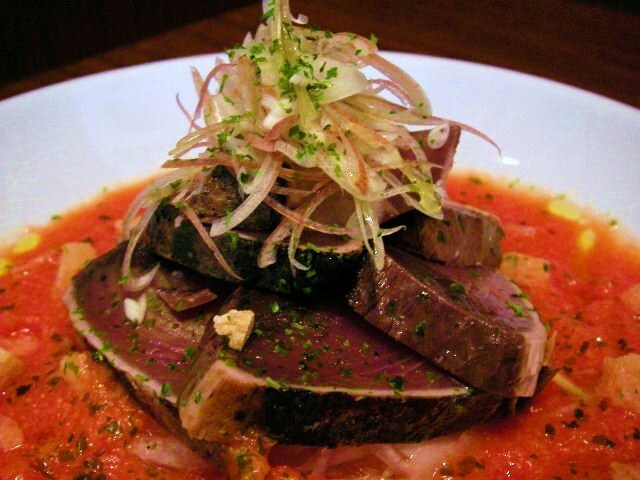 It is also called “katsu” (Tohoku Region), “Honkatsuo” (Kyushu Island), “Magatsuo” (Shikoku and Kyushu Islands. N.B. 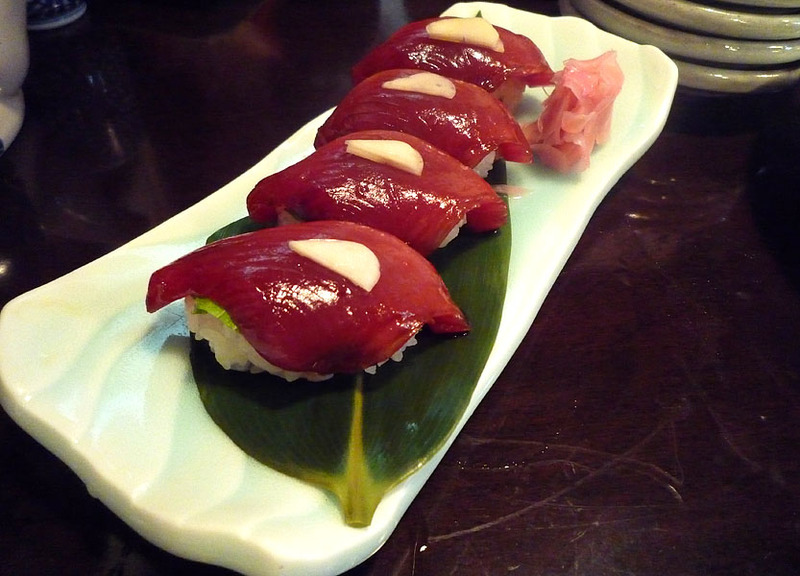 : the same name designates another fish in other parts of Japan! 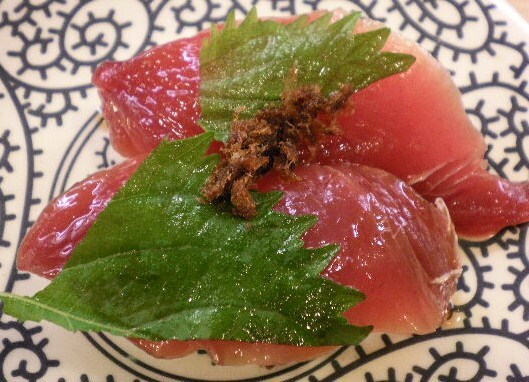 ), “Suji” (Yamaguchi & Wakayam Pref.). It appears on the markets early Spring~Autumn as “sho gatsuo” (first bonito in Spring) and “modori gatsuo” (return bonito end of Autumn). They are traditionally line-caught but nets have been used extensively in recent years. 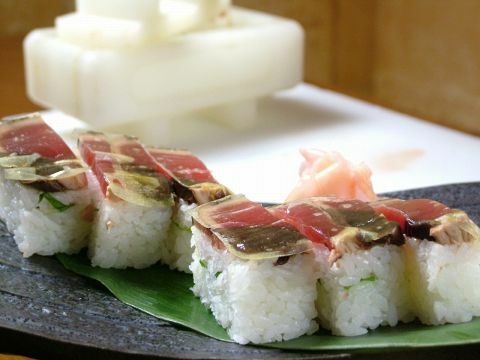 or as nigiri topped with grated fresh ginger a thin slice of garlic, unless you prefer grated fresh ginger with chopped thin leeks. 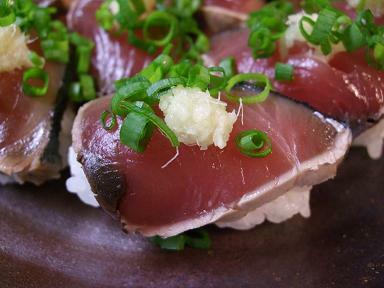 The same is done with lightly grilled/aburi (or tataki) bonito as sushi nigiri. 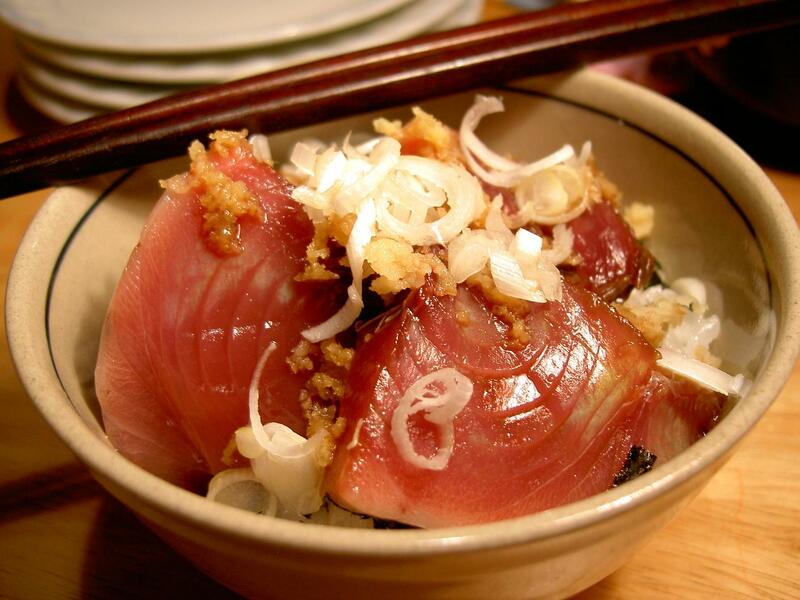 Another very popular way to eat it that will please Europeans and North Americans alike, is “tataki”. 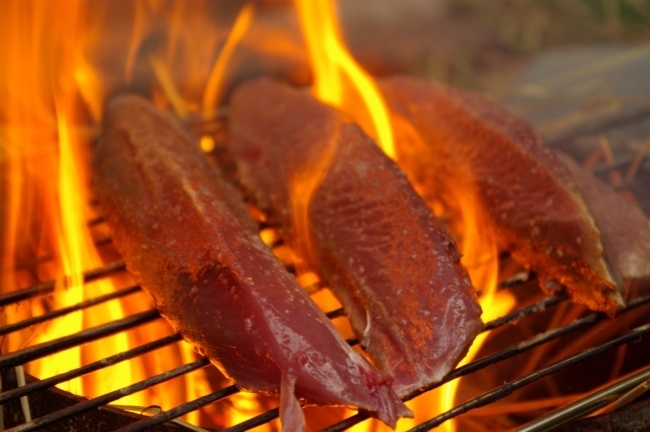 The fish is first seared/grilled over charcoal until it is lightly cooked on the whole outside then plunged into iced water to stop it from cooking any longer. It is then cut into large slices and served with freshly chopped garlic and thin leeks, “shiso” leaves (perilla/beefsteak plant) and wasabi. Note 1: in restaurants specify whether you want the skin or not when ordering sashimi. Note 2: the same fish is a staple food in Sri Lanka where it is first smoked and then prepared as soup or curry! 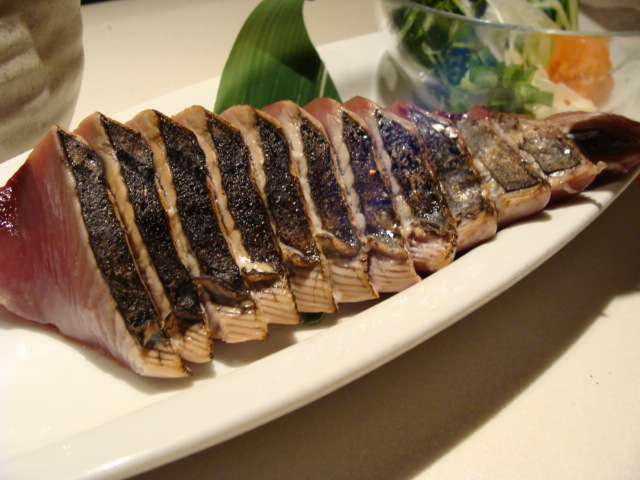 It is one of the most versatile fish in Japan. 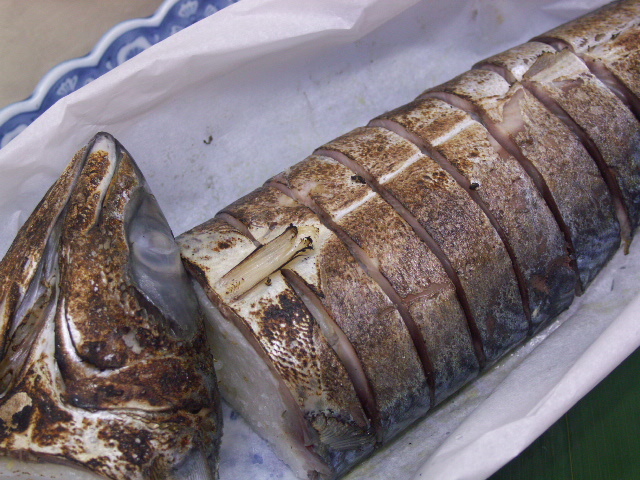 but my favourite is probably as zuke/marinated in soy sauce, mirin, sake, etc. before being served with a slice of garlic! Dear friend, it could have been a fish with a very similar name called “Magatsuo” which is a white^flesh fish. It is also called butterfish：　http://en.wikipedia.org/wiki/Stromateidae!